Police arrested 16 Rohingyas from Bagra in Brahmanpara upazila on Thursday. 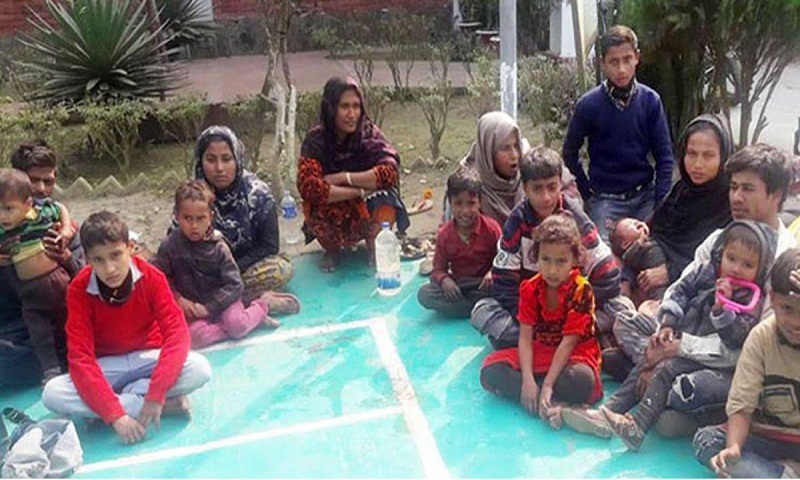 The arrestees are Hamida Begum, 60, Sabbir Ahmed, 30, Sabbir’s wife Hasina Begum, 30, Sabbir’s four children—Jabed, 12, Saber, 10, Majid, 6 and Sadek, 2, Hamid Nur, 25, Hamid’s wife Fatema, 23, Hamid’s two sons—Faruk, 3 and Khaiyam Nur, 1, Nur Haba, 28, Abdur Rahim, 10, ShahidasAkter, 5 and Ismail, 6. Tipped off , a team of police conducted a drive in the area and arrested them, said SAM Shahjahan Kabir, officer-in-charge of Brahmanpara Police Station. All of them will be sent to Cox’s Bazar Rohingya camp.